POOLE, HENRY SKEFFINGTON, mining engineer and author; b. 1 Aug. 1844 in Albion Mines (Stellarton), N.S., son of Henry Poole, the manager of the General Mining Association’s coalmines in Pictou County, and Elizabeth Noad Leonard; m. 15 June 1876, in Charlottetown, Florence Hope Gibson Gray, daughter of John Hamilton Gray*, and they had at least one son and one daughter; d. 31 March 1917 in Guildford, England. Henry Skeffington Poole was educated at King’s College in Windsor, N.S., where he received a ba in 1865 (ma 1874, d.sc. 1903). His subsequent training at the Royal School of Mines in London, England, undoubtedly reflected family connections (his father was also a graduate), as did an apprenticeship supervising underground for his father, who had become manager at the Caledonia coalmine in Cape Breton, and a stint in Utah lead-silver mines. 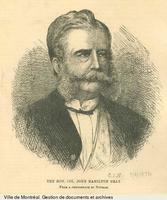 In 1872 Poole was appointed inspector of mines in Nova Scotia. Though coal seams were crown property, no government regulations protected mines and miners from accident, and inspectors had no powers to compel safe mining. Accidents had killed one man in forty over the previous seven years. Poole primarily blamed the “rashness or ignorance” of workmen for deaths, but he also recognized mine management’s culpability, and began lobbying vigorously for change. In April 1873 the Nova Scotia legislature responded with the Mines Regulation Act. Extensive in scope and only the second mine-safety act in North America, it regulated such matters as ventilation, daily inspections of workings and equipment, use of safety lamps, and application of explosives in environments containing inflammable gas. It also granted Poole the right to lay charges for infractions and impose special requirements on mines to meet novel circumstances. Poole’s predecessor, John Rutherford, considered him the figure most responsible for shepherding the bill through to law. However, Poole’s zeal was short-lived. In his report on the Drummond colliery explosion of May 1873, which took 60 lives, he acknowledged that management’s risk in employing gunpowder in a gas-prone area had been “exceedingly great,” but excused the action by pointing to costs created by sharp competition and the miners’ “agitation” for increased wages. Poole charged that the “direct cause” of the accident had in fact been the “ignorance or carelessness” of workmen at the site. Throughout his term he stubbornly refused to interfere in mining operations, contending that intervention would make him personally responsible should an accident occur. Vigorous though he was in promoting new technology and diagnosing the physical causes of disasters (he helped legitimize the discovery that coal dust was a primary fuel for mine explosions), his main contribution to reform remained the 1873 act. Late in 1878 Poole announced his resignation (he would be replaced early the next year by Edwin Gilpin*). He then became general manager of the Acadia Coal Company in Stellarton. In 1879, during his first year with the company, its workforce, though substantial, was only 215 persons; following its merger in 1886 with the Halifax Company Limited and the Vale Coal, Iron and Manufacturing Company, the company employed 1,069 persons and the year’s coal sales were nearly 275,000 tons. Though reactionary in politics, Poole was a progressive in engineering. His company introduced more advanced safety lamps at the mines in 1880 and erected a steam-driven ventilation fan in 1881. Poole’s rigorous testing of hoist ropes and couplings won special comment in the 1883 report of the provincial Department of Mines. A powerful pump was installed in 1885 at the Acadia mines to battle “the heaviest single lift in America.” In the 1890s Poole helped pioneer the use of compressed air in mine pumping in Nova Scotia. Yet difficulties soon struck the company. Poole’s attempt to reduce wages led 345 miners at the Albion mines to walk out on 31 Dec. 1886; they were joined four weeks later by 724 workers at the Vale and Acadia collieries, in what may have been the biggest Canadian labour dispute of the late 1800s. Over 107,000 worker-days were lost before Poole and a negotiating committee from the Gladstone Lodge of the Provincial Workmen’s Association finally reached a settlement in May 1887. That year an underground fire, believed long dead, ignited an explosion in the Third seam at the Albion mines, destroying the bank-head. The accident fortunately occurred on a Sunday, thus killing no one, but it closed the pit for much of the year. In 1889 a fire at the Vale colliery forced the closing of the McBean seam, and three years later attempts to re-enter the Foord pit (where 44 had died in 1880) failed, again because of fire. In 1895 a provincial commission into the causes of fire in the Pictou mines condemned company decisions to connect openings on four separate coal seams that were prone to gas and fire. The commission in particular damned Poole for failure to prevent renewed fire in the Foord pit. Poole retorted angrily in the Canadian Mining Review. Soon after his resignation as mine inspector, Poole had become a spokesman for mine masters. In 1881 he brought mine managers together to attack, unsuccessfully, union-led changes to the Mines Regulation Act that threatened invigorated inspection and formalized participation by miners in inspections and inquiries. Later that year he won appointment to the government’s new board of examiners – composed entirely of mine managers and responsible for granting mandatory certificates of qualification to mine officials. He and the board ensured that until well into the 1890s some mine officials could avoid formal technical examination. 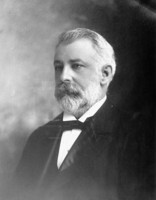 His view of government interference was illustrated in 1893 when he accused the legislature of treating mere proposals for change “as evidence of its necessity” and of considering “the opposition of mining men” as proof of the need for regulation. 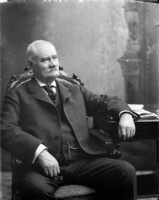 In 1901 Poole resigned from the Acadia Coal Company and joined the Geological Survey of Canada as a part-time geologist; he played a vital part in surveys of New Brunswick coal seams and the Nanaimo–Comox coalfield of Vancouver Island. He had long had an interest in natural history (extending to entomology, meteorology, botany, and ornithology), manifested in articles in the Proceedings and Transactions of the Nova Scotian Institute of Science, the Quarterly Journal of the Geological Society of London, and elsewhere. From 1902 to 1905 he was president of the Nova Scotian Institute of Science, and he became a part-time lecturer in the School of Mining and Metallurgy at Dalhousie University in Halifax. Having retired to England, he passed away at his home in Guildford on 31 March 1917. Forty-one items by Henry Skeffington Poole are listed in Science and technology biblio. (Richardson and MacDonald). To those should be added Report on the coal prospects of New Brunswick (Ottawa, 1903), which is wrongly attributed to his father. Human Resources Development Canada Library (Ottawa), Provincial Workmen’s Association of Nova Scotia and New Brunswick papers, grand council, minutes of the 12th yearly meeting, 283. PANS, RG 21, A, 12, Poole et al. to Samuel Creelman, 18 Jan. 1881. J. M. Cameron, The Pictonian colliers (Halifax, 1974). Canadian Mining Journal (Toronto), 38 (1917): 242. Canadian Mining Rev. (Ottawa), 9 (1890): 64–65; 10 (1891): 147. Ian McKay, “‘By wisdom, wile or war’: the Provincial Workmen’s Association and the struggle for working-class independence in Nova Scotia, 1879–97,” Labour (St John’s), 18 (1986): 13–62. Donald Macleod, “Colliers, colliery safety and workplace control: the Nova Scotian experience, 1873 to 1910,” CHA, Hist. papers, 1983: 226–53. Maritime Mining Record (Stellarton, N.S. ), 10 April 1899: 10. Mining Soc. of Nova Scotia, Journal (Halifax), 8 (1903–4): 9. N.S., Dept. of Mines, Report, 1866–90; House of Assembly, Journal and proc., 1896, app. 12: 1, 7, 9; The revised statutes of Nova Scotia, comp. A. J. White et al. (Halifax, 1873), 59–83. Nova Scotian Institute of Science, Proc. and Trans. (Halifax), 14 (1915–18): lxviii–lxix. John Rutherford, “The early history and progress of coal mining in Nova Scotia,” Canadian Mining Rev., 10: 201–3; “Reminiscences of mines in Nova Scotia,” Novascotian (Halifax), mining no. (October 1903): 12. Morris Zaslow, Reading the rocks: the story of the Geological Survey of Canada, 1842–1972 (Toronto and Ottawa, 1975). Donald Macleod, “POOLE, HENRY SKEFFINGTON,” in Dictionary of Canadian Biography, vol. 14, University of Toronto/Université Laval, 2003–, accessed April 24, 2019, http://www.biographi.ca/en/bio/poole_henry_skeffington_14E.html.